This post will be short and sweet, like its main characters. But it won't bee a quickie. 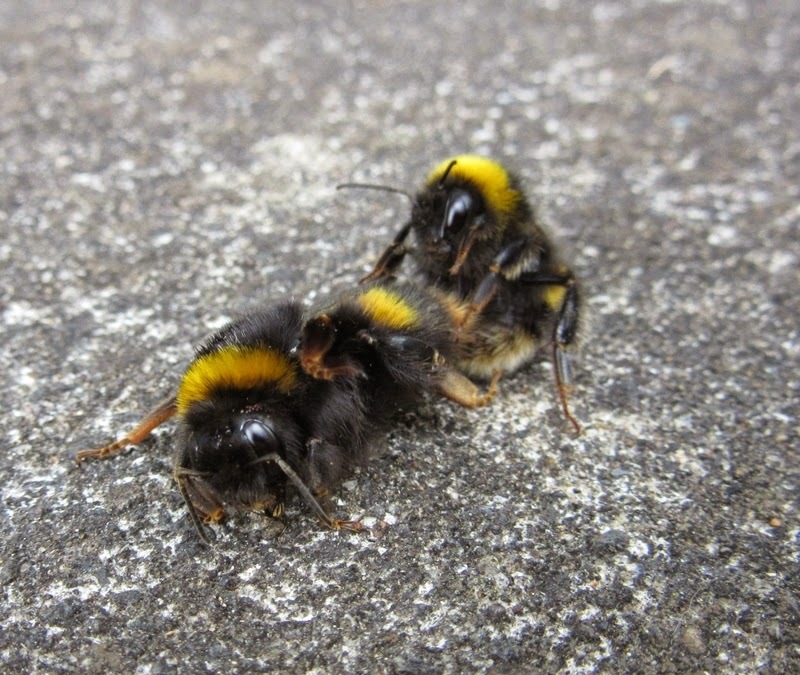 On our driveway, two bumblebees are celebrating Valentine's Day in the best way they know how: making the bee with two backs. Try another angle - beeautiful. While Valentine's Day in New Zealand was yesterday, I prefer to beelieve there may have been extended courting - some special nectar and pollen, perhaps - and foreplay. Clearly they have adopted the theme song "Why don't we do it the road", by the Beetles. A bit of research shows bumblebees mating on the ground is normal, but they can continue for 10 to 80 minutes! One observer reported mating bumblebees can bee moved, so I did. While much of the public concern over bee populations highlights honeybees, we need all pollinators much more urgently than honey. So I hope you'll join me in wishing the happy couple a much longer and fruitful...coupling...beefore they buzz off. Further bee puns may bee left in the comments.